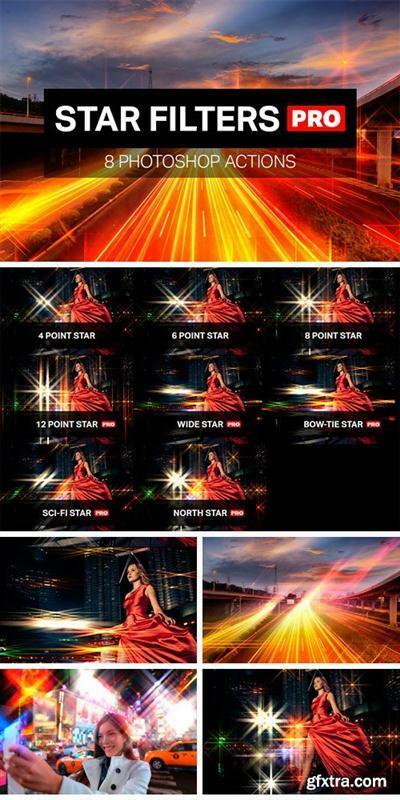 Add beautiful star filters to your photos with these amazing Photoshop actions. These actions will generate 8 styles of star filters in 7 sizes from small to large. Pick the perfect star filter with 8 styles in 7 sizes from 25px to 1600px.